The results of the 2013 Challenge Cup. Thomas Londoz also posted a movie on Youtube. changes in GS U11, BS and GS U13, GS U15 and GS U17!!! Due to injuries, it is possible that some groups are changed during the week! For now, there are some changes in GS U13, GS U15 and GS U17! Both the draws and the schedules are online now. The draws are online! Have a look at the Draws and results page. Or, go to toernooi.nl. Schedules are not online yet, but will come in the following days. You can find us at toernooi.nl this year. Results will be published both on toernooi.nl and on this website. From now on, you can follow @victor_JOT on Twitter. Of cource, we also still have our Facebook page. 2013 participating teams are available in the Teams section. At the beginning of September, we want to inform you a little bit about next year’s VICTOR JUNIOR OLVE tournament (U11, U13, U15 and U17). Next year, in 2013, we will be glad to welcome you as from Friday, March 29. 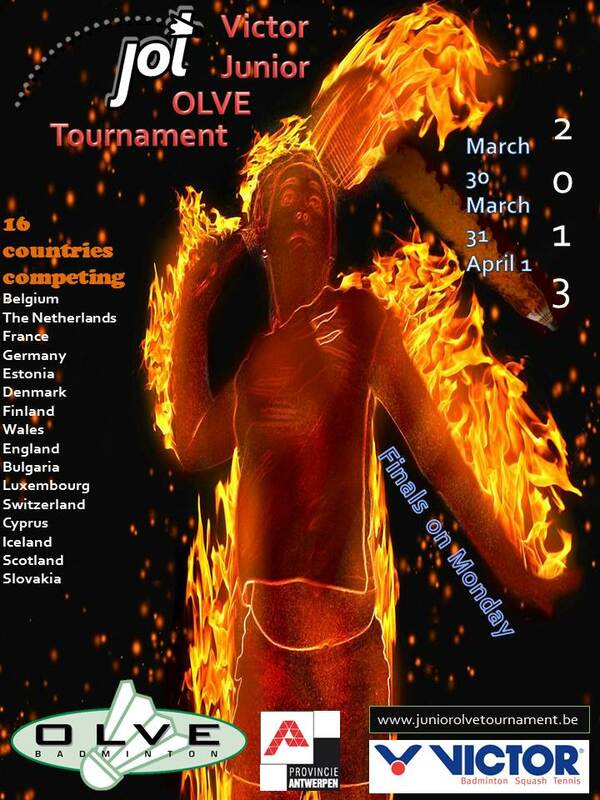 Our tournament will take place from Saturday, March 30 ‘till Monday, April 1.